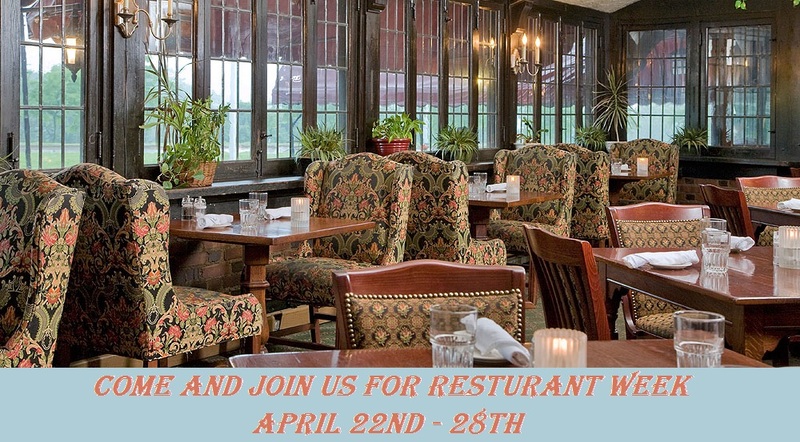 Have you made Mother's Day Reservations? Have you made plans for Mother's Day yet? Celebrate the most important woman in your life with the Red Coach Inn. Enjoy an incredible Mother's Day with a brunch featuring over 20 delicious options. 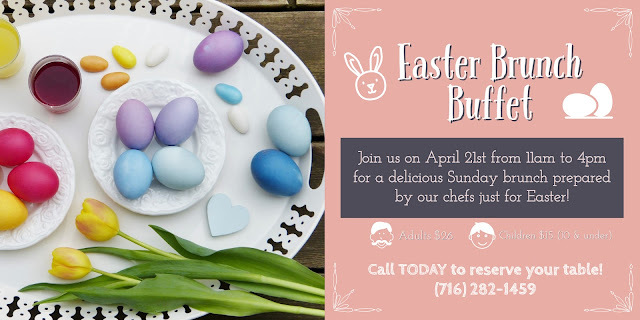 From fresh seafood to traditional favorites to our decadent desserts and Mimosas, it will be a meal that will remember. You can view our Mother's day menu HERE. Local Restaurant Week is Here!!! If there's one week of the year when all the foodies rejoice, it's bound to be Local Restaurant Week. 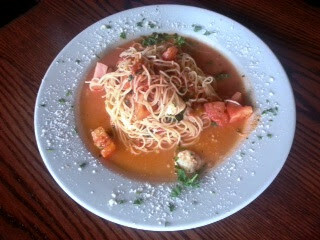 Good thing we prepared an exclusive mouth-watering menu to feature all week! is one meal for $20.13 that includes a choice of either a freshly sliced Pear Salad or Soup of the Day; choice of either Chicken French or Pasta Pomodoro, and the Chef's Dessert of the Day. Niagara Falls is known as a premiere Honeymoon destination, this geological wonder is not only one of the most popular tourist attractions in the state of New York, but is also has intrigued many and has prompted thrill seekers to "conquer" the falls in various contraptions from wooden barrels to rubber balls. From 1901 to 1995, a span of 94 years, 15 people have intentionally challenged Niagara Falls. Five have lost their dare with the devil and did not survive the plunge over the Falls. The river below Niagara Falls averages 170 feet deep, and those who go over the falls usually hit the bottom of the river before popping back to the surface. 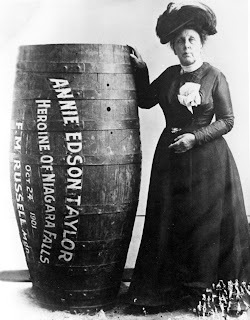 Not only the first woman, but the first person to go over Niagara Falls in a barrel, Taylor was a poor widow when she arrived in Niagara Falls in 1901. the sixty-three year old (although she said she was forty-two) saw the stunt as a way to make money. 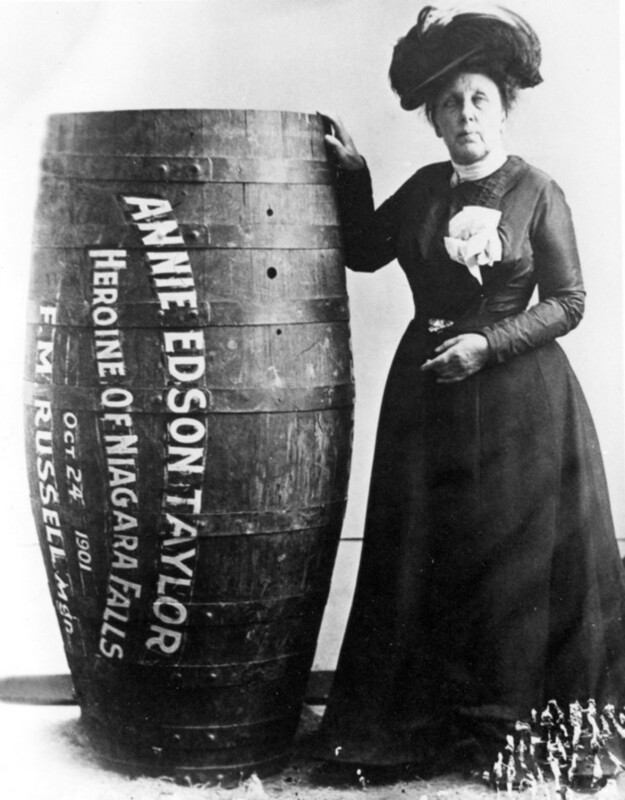 After hiring a manager, she braved the falls on October 24, 1901, in a barrel she designed herself. She survived, but "the heroine of Horseshoe Falls" didn't end up with the financial windfall she expected. She worked as a Niagara street vendor for twenty years and died penniless. 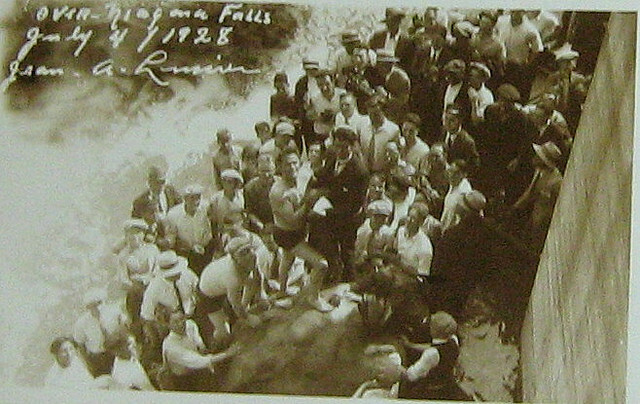 The third person to go over the falls, Lussier took the plunge on July 4th, 1928, not in a barrel, but inside a six-foot rubber ball that was lined with oxygen-filled rubber tubes. He survived and afterwards made extra money by selling pieces of the ball's rubber tubes. 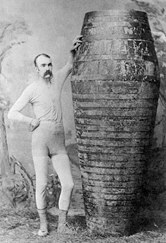 This adventurer made the plunge in a ten-foot, one ton wooden barrel on July 4, 1930. 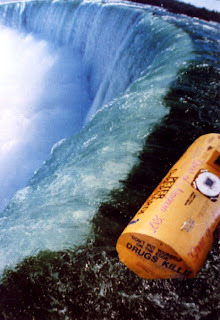 Sadly, however, Stathakis's barrel was caught behind the falls for fourteen hours. Having only enough air to survive for three hours, Stathakis died before he was rescued, but his 105-year-old pet turtle, Sonny Boy, did survive the trip. Ready to "Explore the Roar"? The Maid of the Mist will officially open for the 2013 season on Friday, April 19th at 10:00am. 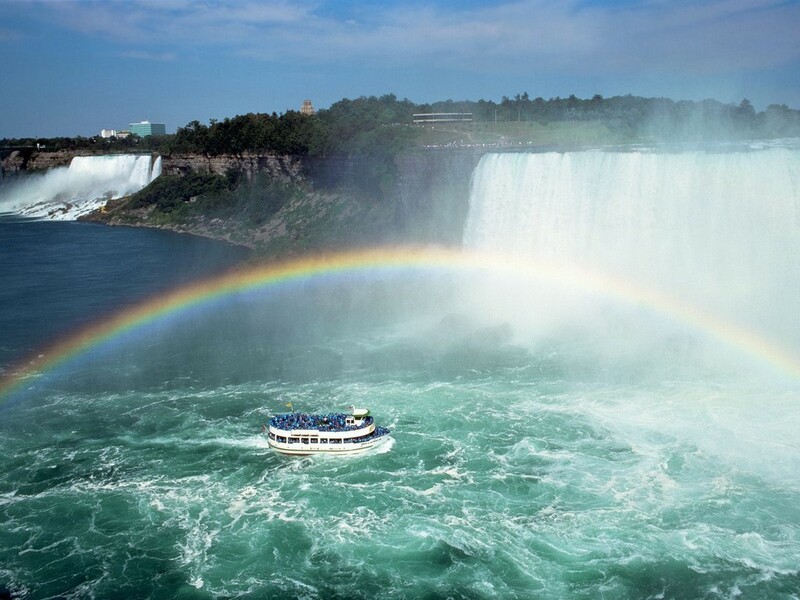 Located only a 1/4 mile from the Red Coach Inn the Maid of the Mist boat tour is a must see Niagara attraction. For Directions to the Maid of the Mist U.S. boarding site CLICK HERE. 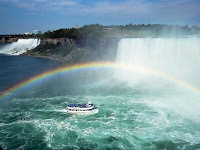 A favorite Niagara Falls State Park attraction for more than 150 years, the Niagara Fall Maid of the Mist tour takes visitors on an excursion into the basin of Niagara Falls State Park's Horseshoe Falls. The journey begins at the Observation Tower, where guests do a souvenir rain poncho and board the double-deck Maid of the Mist tour boat. (Hooded raincoats are provided for ALL passengers, and you are certain to need them!) 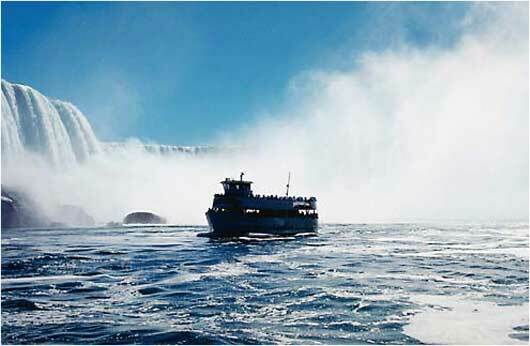 From there, the dramatic passage ferries past the base of the American Falls, and on to the basin of Horseshoe Falls, navigating through roiling waterfall whitewater and massive rock formations. The wind-driven mist at the base of the falls is sure to return you to the shore with a new found appreciation of the power and grandeur of Niagara Falls, or at least "soaked" in excitement. As North America's oldest tourist attraction, the Maid of the Mist is a half hour thrill of a lifetime. 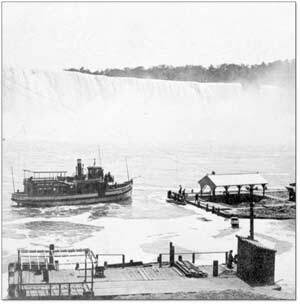 The original Maid of the Mist was a steam-powered paddle-wheeler ferry, and has been providing boat tours since 1846. Today, the Maid of the Mist is shared by four modern diesel-powered ships. Generations of Niagara Falls visitors have named the Maid of the Mist tour as one of the highlights of their trip. Come and take a ride in the mist and experience Niagara Falls first had. 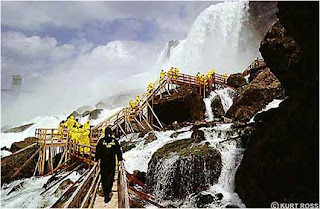 Tickets for Maid of the Mist are available seperately, and as part of the value-added Niagara Falls USA Discovery Pass. For more information regarding ticket pricing and scheduling, CLICK HERE. See you soon! 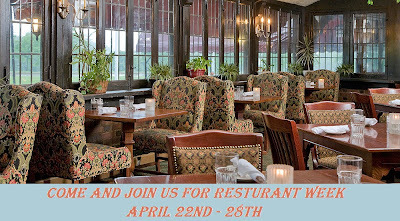 At the Red Coach Inn we have prepared a delectable menu especially for Restaurant Week, and we are looking forward to showing off our extensive fine dining restaurant. For $20.13 you can enjoy fresh Pear Salad or Soup of the Day, followed by Chicken French or Vegetarian Pasta Pomodoro, and the indulge in the Chef's Dessert of the Day. 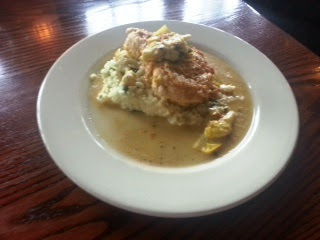 Look below for a few sneak peak pictures of our appetizing entrees. We look forward to serving you! Niagara Falls State Park is home to over 400 acres of lush landscape and wildlife, the beautiful falls themselves, as well as many famous attractions. Niagara USA offers a breathtaking view of one of nature's marvels and an experience that will last a lifetime. During your stay at the Red Coach Inn we hope you have the opportunity to stop by and see, feel and experience the falls from one of the many great view points that Niagara Falls State Park has to offer. Niagara Falls State Park offers a variety of world-class attractions such as the opportunity to experience the rush of Niagara's water on the Cave of the Winds Tour to the Hurricane Decks for the ultimate "water park" experience. 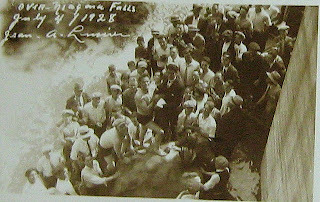 Each year, millions of people don sandals and ponchos to take part in a close up view of the American and Bridal Veil Falls on the Cave of the Winds. What most people don't know is that the very decks they stand on are torn down and re-built each and every year. Due to frigid waters in the spring, teams of park employees work for only 20 minutes at a time re-building the famous decks. Another one of the park's signature activities include a boat ride aboard the Maid of the Mist, which take you right up to the base of the Falls! at the Prospect Point Cafe, grab a quick snack at one of the many concession portables throughout the park, or for the ultimate Niagara Falls State Park dining experience, savor the spectacular views and American cuisine at the Top of Falls Restaurant - the Park's signature dining venue. As spectacular as the views are by day, Niagara Falls can appear even more dramatic after dark. 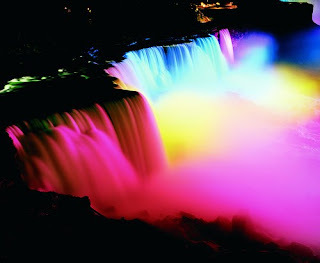 Every night of the year at dusk, colored spot lights illuminate Niagara's Horseshoe and American falls to create a dynamic light show of rich and ever-changing hues. The State Park is open 365 days a year, 24-hours a day. You can walk through the park or take the Niagara Scenic Trolley ride. The Niagara Falls Discovery Pass is available for purchase and will save you 33% on five attractions in Niagara Falls USA. 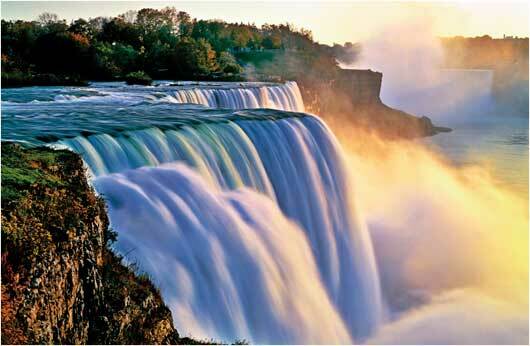 For more information on tickets for the Niagara Falls State Park CLICK HERE.